Author Conrad, George Richard, Jr.
Abstract The purpose for conducting the study was to identify the amount of planning time offered to elementary teachers and to compare that time to the planning time offered secondary teachers. The study was also conducted to identify how elementary teachers used planning time and how their planning time was monitored by administrators. In addition, the study was conducted to determine whether teachers and principals desired more planning time and how additional planning time would be used. The study included information provided by superintendents, elementary principals, and teachers from Nebraska Class III districts. Questionnaires were mailed to 223 superintendents. Questionnaires were sent to a random sample of 150 principals and 391 teachers whose superintendents reported the use of planning time. Frequency analysis and cross-tabulations were used to analyze the responses from the questionnaires. Data from each of the groups were compared using t-tests and the Mann-Whitney U test. A number of conclusions were inferred from the planning time study: (1) While studies have addressed how teachers plan, little has been done to study the use and effectiveness of planning time. (2) The intensification of the role of the teacher has increased the need for planning. (3) Superintendents, principals, and teachers did not always agree on what was and was not planning time. (4) Less time was given to elementary teachers for planning time than to secondary teachers. (5) Teachers reported using planning time to complete professional tasks. Principals supported the teachers' reported use of planning time. Teachers who reported fewer weekly minutes of planning time also reported less long-term planning. (6) Principals spent little time monitoring and assessing teacher planning time. 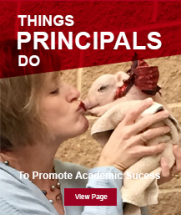 Superintendents and teachers reported less monitoring or assessing by principals than did principals. (7) Elementary principals and teachers desired more planning time. (8) Principals and teachers would use additional planning time for long-term planning and collaboration with other staff. (9) Along with daily planning time, principals and teachers reported a preference for block planning time which would allow staff members to plan together.